The first half of the game is almost done (Neo Semidori wolf side of the story. So, let's talk about gameplay. 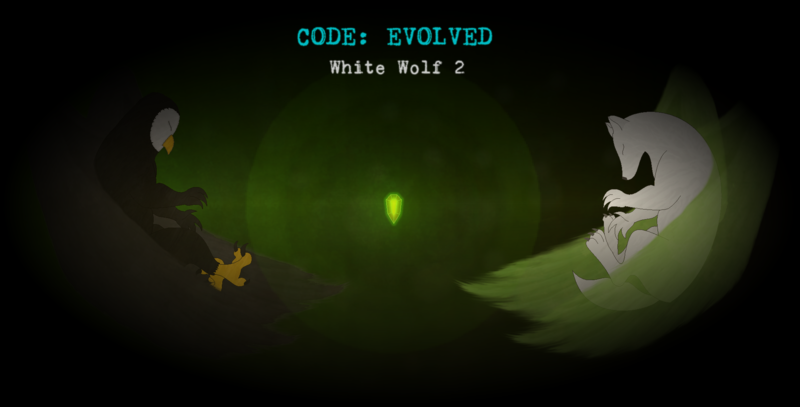 Code: Evolved in his core is a Metroidvania type of the game with very dark fantasy/sci-fi story. 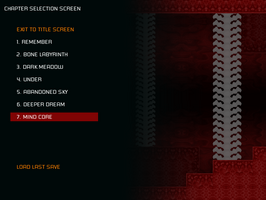 But there are a few things that separate it from a usual Metroidvania games. 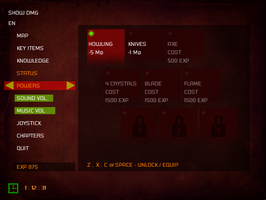 TWO PLAYABLE CHARACTERS - Game will have two playable characters. Neo Semidori Wolf and Neo Semidori Owl. But every character will be game for himself. 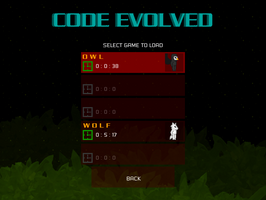 Wolf and Owl will have their own set of weapons, stages, and story. Thay doesn't even exist at the same time. 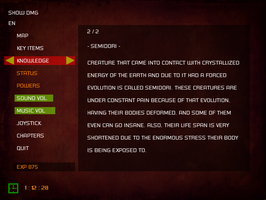 But which story is the first in Code: Evolved timeline? That... I can't tell you :) Also, the player will be rewarded with a bonus after credit scene if he beat the game with both characters. 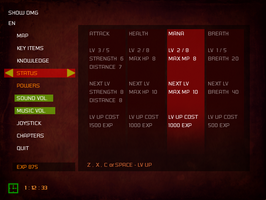 PLAYER WILL PURCHASE UPGREADS AND ABILITIES WITH EXP - Exp in the games is nothing new. You kill enemies and you gain experience points. 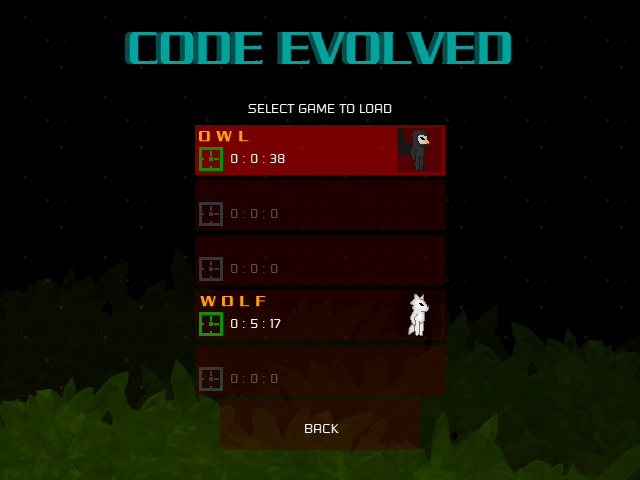 But, in Code: Evolved you won't be leveling up. Instead, EXP will act as currency that you can spend in your inventory by buying new special attacks or upgrading your stats. CHAPTERS / STAGE DESIGN - Altho Code: Evolved is a Metroidvania game player will not explore the whole world at once. The World is divided into chapters and every chapter has his own key items (that will be reset every time you play that chapter again). This way player will not find himself in a situation where he needs to do a massive backtracking to progress. 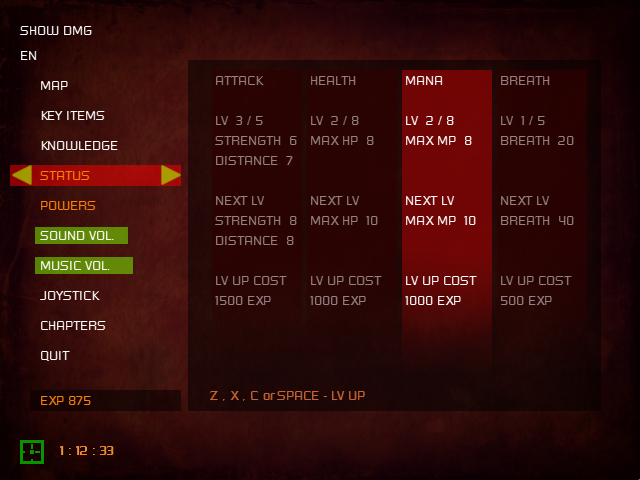 And also he can explore a stage again even he found and unlocked everything in it (since key items are reset). CHEAT CODES - This is a reward for every player that explore stages thoroughly. The more % of the map you unlock, the more cheat codes you will unlock. Not all of them will be useful of course but most of them will be just for fun (no head, no body, pot mod, evil face, big head, enemies scream...) I loved tons of fun cheat codes in old PSX games and I thought it would be nice to include something like that (as a reward for persistent players) in the game. 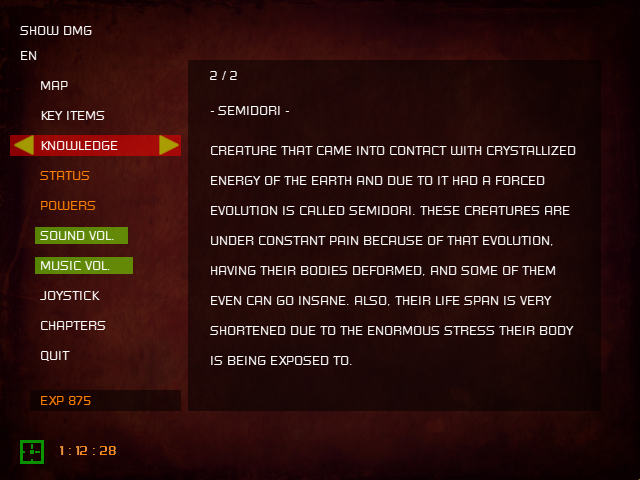 KNOWLEDGE - If you wish to find out more about Code: Evolved the world you can find white crystals that will expand your knowledge and you will be able to find out more about Midori, Semidori, Life energy, Dreamwalker and much more by entering into inventory.